Lot Size: 369.24 sq. m. n/a "Rectangular"
Spacious lot with great ocean views, all set for you to build the villa of your dreams. Country Club Bajamar is located just only a short 45 minute drive from the Tijuana - San diego Border. Country Club Bajamar was designed in an area of 11.5 hectares with the idea of creating a residential complex of low density housing and beautiful landscape areas, pools, miles of walking trails, 27-hole golf course, hotel, restaurant and event center. 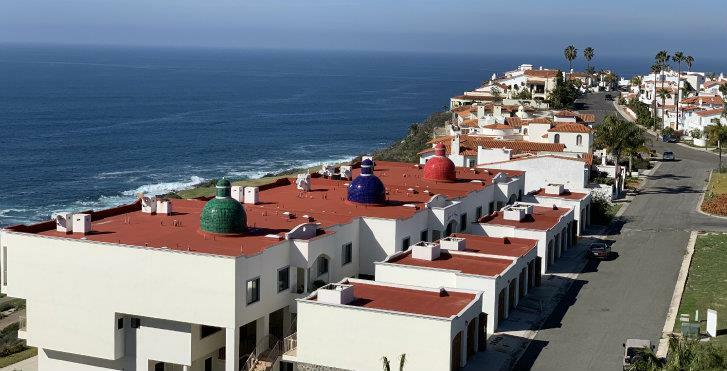 Country Club Bajamar with its distinct architecture of villas and town houses, looks like a small historic mexican town but with all modern amenities and all in harmony with the natural surroundings of this picturesque region.